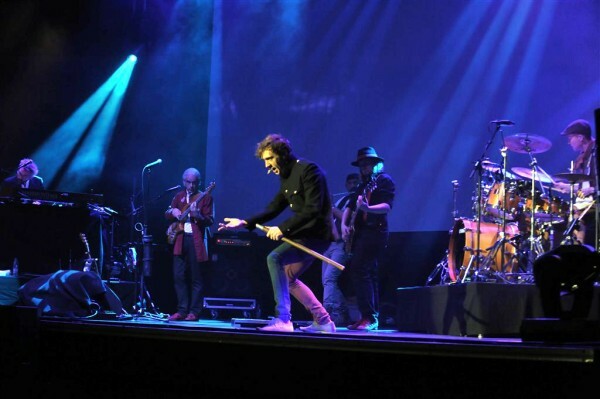 The man is performing on stage for over 50 years and he 's still dancing, standing on one leg, crawling around the stage, very much alive and ...... a multimillionaire: Ian Anderson, truly a living legend. 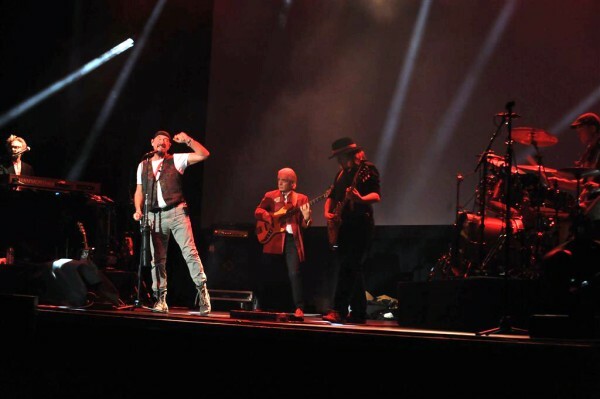 Ian is the only remaining founder member and almost sole contributor to all the songs of JETHRO TULL. A stunning album saw the light of day in 1972 called Thick As A Brick. A concept album about a certain fellow called Gerald Bostock. In those day it was a daring effort and in effect Jethro Tull suddenly was proclaimed to be 'progressive rock'. 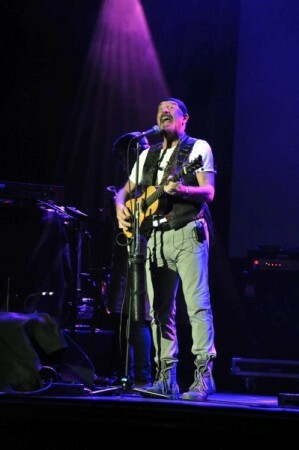 Anderson always kept full control over all his activities, whether it concerned Jethro Tull, his contributions to other artists' recording or his solo works: he was the undisputed leader. Exactly 40 years after this groundbreaking album Anderson decided it was time for a change again and said goodbye to some of his former band mates, one of them being Martin Barre, guitarist for Jethro Tull for 42 years!! As a solo artist he came up with the widely acclaimed sequel to Thick As A Brick: Thick As A Brick 2. Very nice original music in the vein of the earlier days of Jethro Tull and at some occasions referring to the original album. 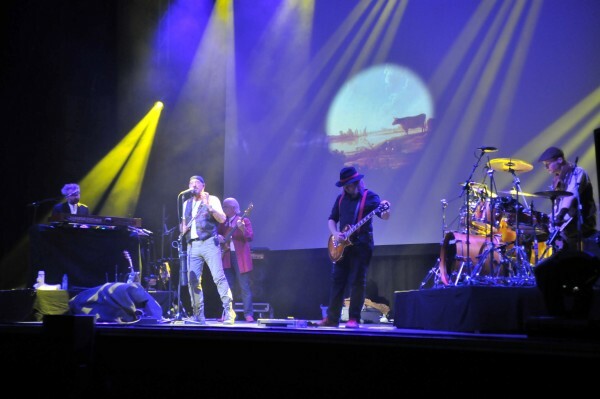 Together with five young but experienced musicians Anderson started a tour last year to perform both of the Thick As A Brick albums: "Jethro Tull's Ian Anderson plays Thick As A Brick". Seeing many more people coming to his shows than before, he proved that business wise that his decision had been a very smart move and an excellent choice. The stage in Tilburg was empty until some long coated workers started cleaning up, sweeping the floor and checking all equipment: they turned out to be the band playing with Ian: David Goodier: Bass, double bass, backing vocals; a member playing with Ian in the previous line up of Jethro Tull. John O'Hara: orchestral conductor, keyboards, accordion; met Ian in 2003 and worked with him since the Rubbing Elbows tour on piano and accordion subsequently recording on Rupi�s Dance. Since that time John toured with Ian's band and scoring, conducting and playing Ian�s orchestral concerts. 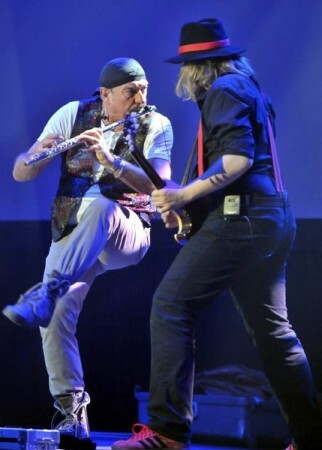 Florian Ophale: guitars; Florian has been touring with Ian Anderson in various parts of the world en playing with him on the orchestral and solo tours. 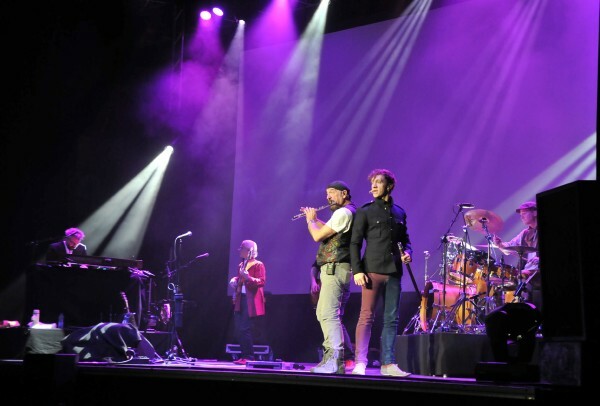 Scott Hammond: drums & percussion; toured with Jethro Tull, Greg Lake and Justin Hayward among others; Ryan O'Donnell: vocals and stage antics; a young actor and 'alter ego vocalist' for Ian, met Ian through John O'Hara and sang with Yusef (Cat Stevens) among others. The regulations for photographers were extremely strict and my colleague Bert Treep (iO Pages) and myself were quite fortunate to have been granted a photo pass. We were able to 'shoot' from the right side of the stage for a designated period of 10 minutes. So I haven't been able to photograph the entire show and didn't get an opportunity to take a decent photo of Scott Hammond for that reason. before the break the band performed the original album Thick As A Brick. The introduction came from the big screen above the band where the man himself posed as Dr. Max Quad, a 'shrink' treating Gerald Bostock. A humoristic and an original way to introduce the band. The rendition of the old music from 1972 was stunning: very good sound quality (just a few minor adjustments needed in the first few minutes and a crystal clear sound from Ian's microphone: an advantage on one side because the amplification provided an excellent sound quality but on the other hand could not conceal the fact that Ian is no longer capable singing this music from the seventies, despite the fact Ryan O'Donnell took over many parts of the vocal lines. Personally I thought it had been better of Ryan had been equipped with a similar microphone as Ian's because Ryan's microphone provided a more muffled and less clear and less loud sound quality. Although the musicians made up any shortcomings on the vocal part, still it was sad to realize Anderson's voice, a so characteristic and splendid voice had become so fragile that he sang out of tune on a number of occasions. His flute playing on the contrary was astonishingly good. All the moves were there, the expressions on his face: just as he did decennia ago. Taking the whole stage of course Ian was the centre of the performance, singing, playing the flute or the acoustic parlour guitar. On the screen a variety of images, partly related to the album (the famous news paper!) or shots from that era (Biggles) or related to the story or the history of Anderson (man in aqualung). In the midst of Thick As A Brick part 1 there was a 'Skype call' to violinist Anna Phoebe (too busy with her young child to come along on all the performances) in which she delivered her violin part to the show. Further hilarious moment via the screen were Ian, acting like a 'posh bloke in the garden', entertaining the audience with his remarks and trying to control a cat and dog running around. After the break Ian returned with a sketch involving his own merchandise salesman and someone from the audience. His focus was to warn older man for the dangers of prostate cancer, a disease causing the loss of too many friends, so he stated. Obviously Thick As A Brick 2 had been composed suiting his vocal abilities of this day and age thus Ian's performance of Thick As A Brick 2 was much better. Together with the shots on the screen, the theatrics and his marvelous musicians it was an evening well spent. The encore was a superb version of the classic Locomotive Breath with a nice video on the screen accompanying the music. 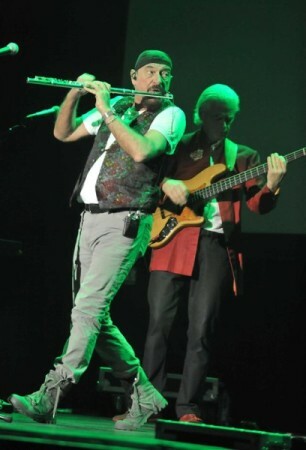 To be able to run around the stage and playing the flute like Ian did requires a state of health most people of 66 would be jealous of. Only criticism on this show could be Anderson's vocal performance but to be able to hear the music from 1972 with this excellent sound quality and from a comfortable chair in a nice venue like 013 Tilburg (NL) had been a true joy. In conclusion Thick As A Brick & Thick As A Brick 2 had been an equally outstanding as well as memorable event.